This is the one hundredth post to “Conciatore,” a blog dedicated to the life and times of Antonio Neri. 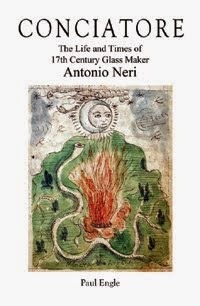 Neri is best known as the author, in 1612, of L'Arte Vetraria, the first printed book entirely devoted to the subject of making glass. 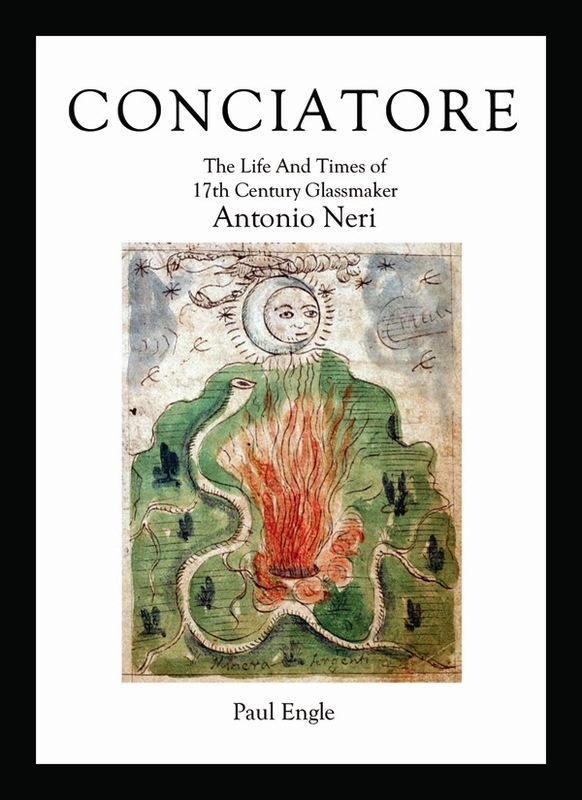 Conciatore is also the name of my forthcoming book on the same subject; Neri's life. In late Renaissance Florence, a conciatore was a sort of professional alchemist whose responsibility it was to formulate glass from raw materials. Neri used ingredients like powdered quartz pebbles, roasted seashells and the refined ash from certain special plants. He mixed them with metal pigments and formed an astonishing array of colors in glass, but also in enamels, artificial gems and crystal. For much of the past four centuries, the life of Antonio Neri has been shrouded in mystery. Who was this Catholic priest who wrote the first printed book on glassmaking? What was his connection to the world of alchemy? How did he become involved with the powerful Medici family, rulers of Tuscany? Recent discoveries have begun to reveal Neri with satisfying answers, and for me, sleuthing through dusty archives and manuscripts has proved a great personal adventure. I have followed Neri’s trail, met interesting people and formed treasured friendships along the way. Having learned so much, it seems only natural to now share my findings about this fascinating character with a wider audience. Antonio Neri was much more than a glass worker, however. He was a dedicated Paracelsian chemist and his commitment to careful observation put him in a class beyond many of his contemporaries, yet not above the quest for transmutation. He was a devout Catholic who practiced alchemy, a dedicated empiricist who pursued the philosopher's stone. These are apparent contradictions that give us unique vantage on the birth of modern science. Surrounding these basic assertions are myriad details that expose the vital and very human endeavors of Antonio's life. My goal is to give you a taste of the richness of his world and perhaps an intriguing glimpse of his chemical artistry in glass. Come explore with me the intersection of science and humanity at the end of the Renaissance.